The PrimeLab photometer with the TraceR parameter allows Water Treatment Products customers and users of PrimeLab to easily and accurately test for reserve of all WTP products that include TraceR additives. 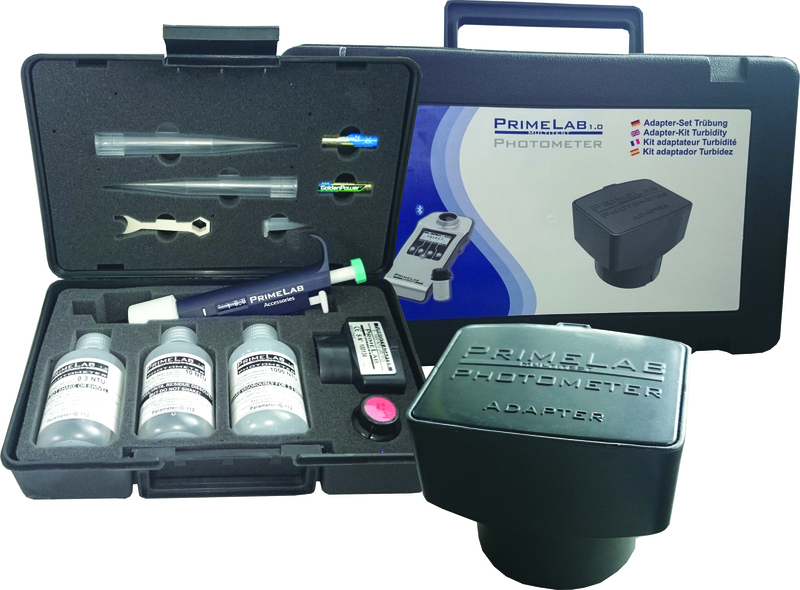 Utilising the PrimeLab tracer adapter in conjunction with the PrimeLab photometer with TraceR parameter provides an instant on-site test method that accurately measures TraceR dye product and verifies fully circulated liquid accurately. Plus, calculation of system volumes. The immediate electronic results from the bluetooth friendly PrimeLab TraceR are transferred to either laptop/PC or android mobile phone. The data can then be formatted into reports and forwarded to clients, consultants and onsite engineers to verify and accredit the results; with data logged for audit trails. Once TraceR is added with product to the water circulation system it is stable over time, does not react easily with other substances and is environmentally safe. The TraceR adapter uses UV-light source. The adapter has the ability to measure TraceR from 0-1000ppb; with a resolution of 0.1ppb. The adapter comes in a black carrying case with professional lab-pipette, all necessary calibration solutions, batteries and a glass vial. 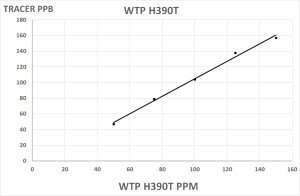 A linear relationship is observed with ppm product dosed and ppb TraceR detected. The PrimeLab photometer also allows you to measure parameters such as TraceR and Turbidity using adapter kits. Specific Adapter (TraceR or Turbidity) Small Carry Case Batteries Standards for Calibration Vial Pipette (and tips). Please contact us for more information regarding the adapters. Use TraceR to quickly and accurately calculate system volumes. 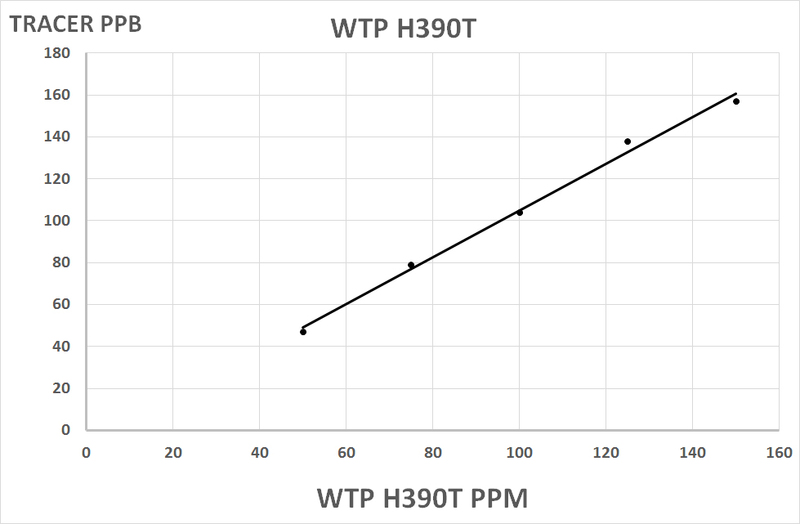 WTP supply TraceR system volume calculation using TraceR liquid and the PrimeLab TraceR function. TraceR solution is supplied in 1L containers. The adapter kits have been specially designed and calibrated for use with the PrimeLab unit. The PrimeLab adapter comes in a black carrying case with professional lab-pipette, all necessary calibration solutions, batteries and a glass vial.